Some insights from our dedicated team on why your photograph or artwork deserves the right mat, frame and our expert advice. Our team will advise you on choosing the right color mat so that it acts as a visual rest between the frame and the image. The viewer will then enjoy a clean aspect when viewing the artwork.The artwork should not compete for attention.with the mats and frame. If matched carefully and properly proportioned, mats and frame serve to help draw the eye in towards the framed piece. This especially applies towards a particular key element of the piece. They are able to be cut to “stack” inside of a frame, allowing for double, triple or quadruple matting. 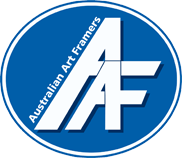 Australian Art Framers carries a large selection of mats in various finishes and colors. Further more the quality will stand the test of time. Framers or curators work in museum and galleries. When deciding to frame an artwork, photographs or prints, their task is performed in a reversible and preserving way. This means that nothing should be glued down. Most noteworthy the use of mat accomplishes several tasks. Firstly and especially in the Tropics, artwork should not touch the glazing material (Clarity or Museum glass, regular glass or Perspex). This is primarily important because any condensation that develops on the inside of the glass can be transferred to the piece. If they are not separated, this will result in water damage, mould or mildew. Also photos should be separated from the glass because the surface of photographs is particularly easy to damage. The image may even separate from its original paper and stick to the glass. 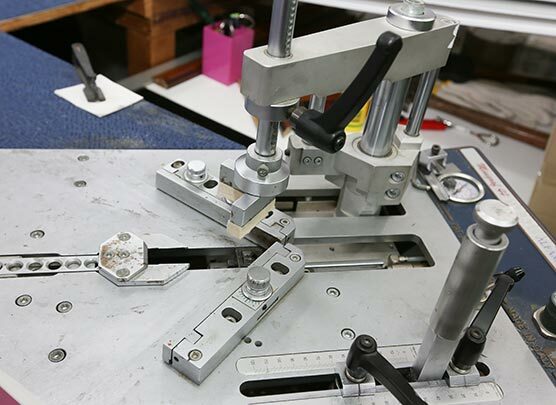 If a mat can not be used due to the edges of the work needing to show, we have the option to insert a spacer under the rebate of the frame. We bevel the window of a mat but a bevel is not absolutely necessary. Artwork on a paper that is not matted can still be framed but the artwork will have to be floated on the backing board. Meaning the paper is then glue to the board and tearing could occur when wanting to make any changes in a few years to come. Additionally, any adhesive and mat used must be “neutral PH”. They are free of acids (which could potentially discolor your paper). The tapes are water based so they can be removed. Masking tape or any tape that has a wet, sticky, adhesive surface should not be used. Over time they will dry out and lose their adhesion and your picture will not hang properly inside the frame.”The measured PH level of a product is not permanent. The PH can gradually change over time depending on the chemical interactions of the materials and environmental conditions it comes in contact with. 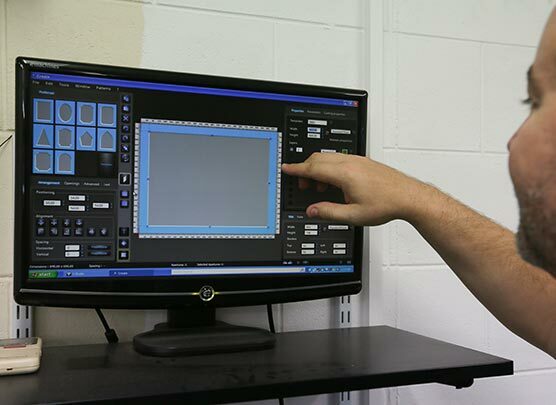 This is especially important to consider inside a picture frame” (Jared Davis, MCPF, GCF). 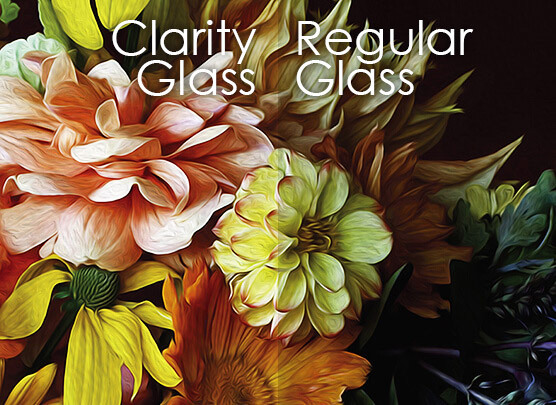 The option to choose your glass comes with custom framing.The True Vue range offers many choices to our clients. Because the glass does a lot to enhance. Framing will seal the paper from harmful air pollution, sunlight, insects and bugs. Expect to have your artwork remove from its frame, be re- matted, glass to be cleaned or changed every 7 to 10 years. Agood frame can be expected to protect the artwork for this length of time. Otherwise you take the risk of mould or mildew starting to create dark yellow pigments (foxing)first on the mat, then the artwork. So try something you have done before and help your image look its best.